you could feel their gold wings trembling. . ."
Dana Levin's singular voice and talent are unmistakable. 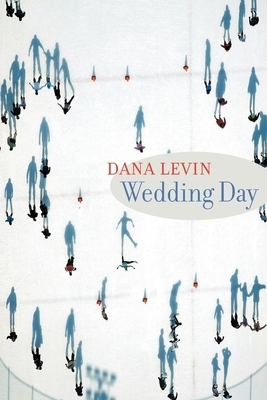 "Wedding Day" is Levin's quest to synthesize the public and private, to find pattern and connection amid the disparate elements of modern life. Relentless in her examinations, she ultimately puts faith in poetry, believing it is the truest means--and best chance--to bridge the chasms between soul and society. Readers will put faith in Levin's poetry as well. "intimate and hyponotic...whether turning her gaze inward or outward, these poems question the moral, aesthetic, and metaphysic needs that poetry exists to fill." "Dana Levin's poems are extravagant...her mind keeps making unexpected connections and the poems push beyond convention...they surprise us." "Images that are satisfyingly clear...and excitingly inexplicable"
Dana Levin grew up in California's Mojave Desert. Her first book won the APR/Honickman First Book Prize and PEN/Osterweil Award. Other awards include a grant from the National Endowment for the Arts, two Pushcart Prizes, and a Lannan Fellowship. She was recently selected by Louise Gluck as a 2004 Witter Bynner Fellow. Levin lives and teaches in Santa Fe.